The Operation board game is a classic game where your dexterity is tested as you play doctor and remove "ailments" like Brain Freeze and Funny Bone from a patient without setting off a buzzer. It's a fun, silly game that creates a lot of laughter from children ages six to ten. The game was first published in 1965 by Milton Bradley. Versions of the game continue to be published using characters from television and movies such as the Simpsons, Shrek and SpongeBob SquarePants. 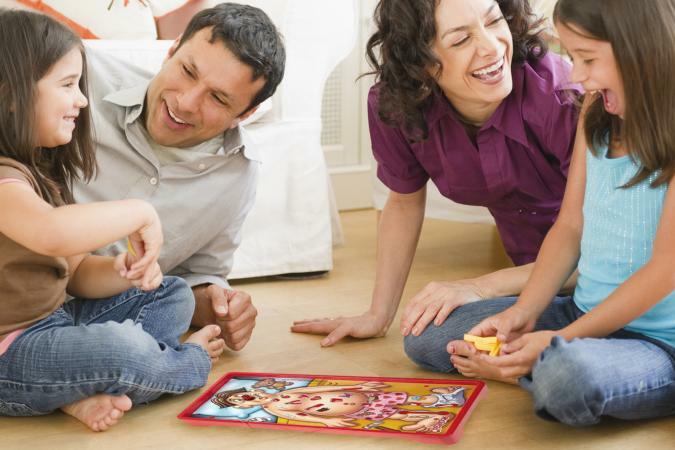 The Operation board game is usually played by children because it does not require any strategy. It is a fun, silly game, accentuated by a buzzer and light bulb that are activated when a player touches the game board while removing a playing piece from the game board. The game is recommended for two to six players, ages six to ten. It requires only minimal reading skills, so it is ideal for non-readers and children who aren't totally proficient in English. It is a good game to use in an educational setting since it teaches the lessons of taking turns, counting money and keeping score. It is a popular board game because it is simple to play and fun for both novice and more experienced players. It makes a good gift to have around when you need a quick fun game to capture the attention of the six to ten year olds who are not able to join the games for older children and adults such as Scrabble or CSI. There is really only a little set-up required for this game. All you need to do is unpack the game elements, place the "Funatony" parts in the game board, shuffle the cards and place the cards face down where they can be reached by all players. The winner is the player with the most money after all twelve of the "Funatony" parts have been removed from the patient. The game usually takes about ten minutes to play.